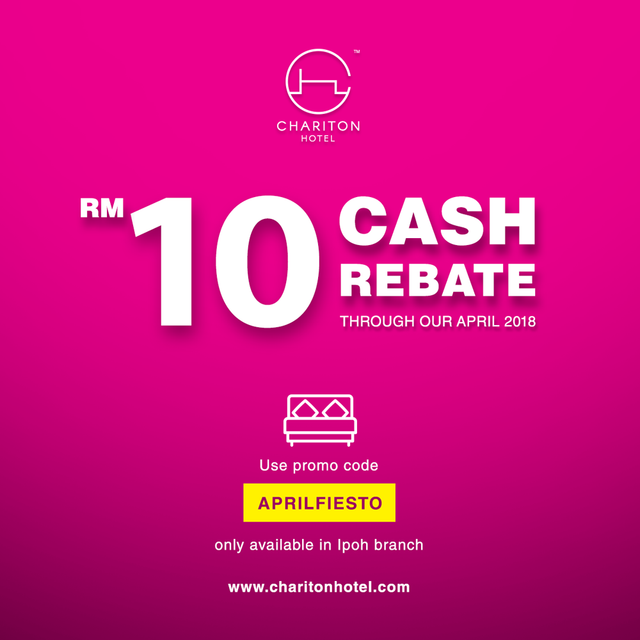 Enjoy up to RM10 cash rebate using this exclusive promo code "APRILFIESTO" through our April 2018. Enjoy up to RM10 cash rebate using this exclusive promo code "APRILFIESTO" through our April 2018. Note that this offer is applicable to Chariton Hotel Ipoh branch only.